Wanted by the FBI! … Are These Two Mugshots of the Same Person? ‘Crime Clusters’ on Background Alert: Criminal Obfuscation or Cyber Crime? It looks like there’s a reprint being ‘ripped off’ now … go figure! .. Since then, I’ve had a casual, ‘amateur sleuth’ interest in criminology. Lately, I’ve been interested in ‘crime makeovers’ (you can search that phrase on my blog for what I’ve come up with). Gosh, do these two people look different! Then I think: Well, but they somehow feel like the same person. This is the intuitive in me speaking I guess. What they call, in the detective novels, a ‘hunch’ (as opposed to a ‘lead’ … which I figure must be more substantial). Link: “Crime Makeovers1,” … by Alice B. Clagett, revised 17 April 2017 and 15 April 2018, https://wp.me/p2Rkym-76J .. So then, I came up with the notion of sizing the bottom of the chin and top of the head (as opposed to the top of the hair) on each mugshot the same. And then going facial feature by facial feature. For instance, observing first the nose, then the eyes, then the eyebrows, then the pattern of the facial hair, then the ears, and so on. And then making a tally of likely matched features. And then deciding the likelihood of a match (even though date of birth, weight, social security number, and even height might vary). 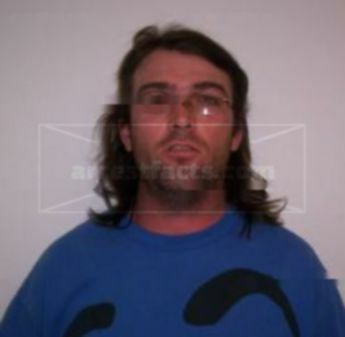 Link: Jeffards Roy Byington, http://www.sexoffendersarchive.com/directory/CO/B/Jeffards_Roy_Byington_81211 ..
Link: Michael Doane Keslar, https://www.homefacts.com/offender-detail/COX002451280/Michael-Doane-Keslar.html ..
Link: James David Stuart, https://apps.colorado.gov/apps/dps/sor/search/search-detail.jsf?id=X002451290&ext=t .. I note in the last mugshot, the higher hairline made matchup more challenging. The determining factor, for me, with these mugshots, was the disparity in the shape of the two eyes. Link: Younger Jeffards Roy Byington, https://www.parentsformeganslaw.org/newscategories/newsArticles/General/MOST_WANTED_SEX_OFFENDERS_AND_OTHERS/MOST_WANTED_SEX_OFFENDERS_BY_STATE/NEBRASKA/BYINGTON_JEFFARDS_ROY ..
Link: Older Jeffards Roy Byington, https://www.homefacts.com/offender-detail/IDSX3007420170505/Jeffards-Roy-Byington.html ..
Link: Artist renditions of head tilt, https://drawingartistic.com/wp-content/uploads/2017/10/drawing-a-face-looking-down-draw-a-face-diy.jpg .. Some of the most notable of these are the length of the forehead, the nose, and the chin. The eyebrows, eyes, mouth, and ears also look very different, don’t you think? I’ve also noticed that a change in width or fullness of the face can make it look very different. For instance, these mugshots, apparently of the same man, look very different, I feel ..
Link: “Jason Curtis Williams,” https://arrestfacts.com/Jason-Williams-6N6I42 ..
Link: “Jason Curtis Williams,” https://arrestfacts.com/ti/6f6ab7e7d822559a6e8eef5073550692.jpg .. So now, taking all the above into consideration, I’d like to ask a very out-there question: Are these two, seemingly very different mugshots really of the same person? If so, what does that say about the person? For instance, what ‘crime makeover’ techniques would have been used to effect this transformation? Link: Benjamin Tyler Quintana, http://www.sexoffendersarchive.com/offender/view/1257962 ..
Link: Ulises Omar Felix, Wanted by the FBI, https://www.fbi.gov/wanted/additional/ulises-omar-felix .. Intuitively speaking, in both photos, I sense a slight curl, like a snarl, in the muscle of the left side of the top lip (for the person viewing the photo, this would be the right side of the top lip). Can you also feel something like that in these mugshots? If a snarl is sensed, then what would that mean, in terms of the person’s personality? Note that the gender of the first man is listed as F, or female. Was this a typo, or might it mean something else? If so, what? Yet the second man is listed as male. If they are the same person, what might that mean? Notice how different the feeling of the two people is … the first appears to me to be afraid, or maybe taken aback. The second appears to me to be intent, as if engaged in a ‘stare down’. If these are the same person, has the way of facing the world changed with age? I note the difference in facial fullness; that the first mugshot seems to have cosmetically extended eyebrows; that the first photo has an upward tilting head and the second photo has a downward tilting head; that the tops of the ears may be the same, and the lips, and the bottoms of the noses, the mustache line, and the hairlines look similar. I have a possible advantage of the reader in this, in that I have a photo of a man with a different name, that I can’t put online, out of concern for lawsuit. That photo seems to me to be intermediary between the young photo of Benjamin Tyler Quintana and the apparently older photo of Ulises Omar Felix. I also have the advantage of having looked up Benjamin Tyler Quintana ,,, I think it was in Background Alert, https://www.backgroundalert.com/ … where I found a many-paged cluster of crimes by persons all with the same first and last name … Benjamin Quintana … and with different middle names. As a casual user of Background Alert, I might discount this ‘crime cluster’ … had I not run across it several times elsewhere; this makes me wonder if the middle names and other police report statistics might have been misrepresented in some way, possibly by the suspects, or maybe through cyber crime? Well, dear reader, it’s up to you to figure out this puzzle. And puzzle it is! For there is nothing that an outlaw likes to do more, than to elude a posse! I wish you the best of luck in your own amateur sleuth endeavors! Video: “Pancho and Lefty,” by Willie Nelson & Merle Haggard, 3 April 2016, by https://www.youtube.com/watch?v=AbZ3VdYb90o .. This entry was posted in Amateur sleuth, Crime makeover, Cybercrime, Law enforcement - crime prevention - Secret Service, Wild West and tagged Background Alert, Benjamin Tyler Quintana, crime clusters, crime databases, Crime makeover, Cybercrime, FBI wanted list, gunslingers, James David Stuart, Jason Curtis Williams, Jeffards Roy Byington, law enforcement, Michael Doane Keslar, mug shots, outlaws, Pancho and Lefty, Ulises Omar Felix, Wild West on 29 April 2018 by Alice B. Clagett.